From the most imaginative appetizers to mouth-watering pasta dishes, from meat-based main dishes to fish-based main courses, from vegetarian cuisine to side dishes and the art of baking, finally reaching the dessert and glass of digestive liqueur: 12 volumes collect the infallible recipes necessary for successfully planning special lunches and unforgettable dinners. 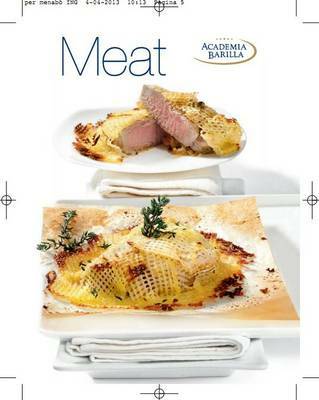 The collaboration with Academia Barilla furthermore guarantees its quality and originality. The volumes are characterized by a small, manageable, easy-to-consult format, and inside, the delicious and simple recipes - within reach of anyone - alternate with splendid photographs illustrating the proposed dishes. Organizing an entire menu becomes child's play thanks to the 12 titles in this series!